Please treat Version 2.0 as a fresh install over the previous versions. Photo Nexus wordpress gallery is a 2 color variation ( Bright and Dark) .. Giant is a Super Awesome Multi-Purpose, Responsive, Retina Ready, Bootstrap based theme with unique and Innovative layouts especially .. 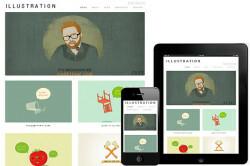 Illustration Responsive WordPress Theme is great theme for any creative professional to showcase portfolio work. Illustration WordPress ..
Sarkkara is a Real Estate/Booking WordPress template which has all the needed pages and UI elements for your business. Sarkkara is modern ..
LondonPress is a elegant responsive blog magazine wordpress theme, Built using html5 & css3 designed to make the perfect Magazine’s .. Welcome to Business Essentials – A Premium WordPress Theme Are you looking for a clean, responsive, elegant and modern business website? ..
Interactive Tutorials The interactive tutorials from the demo website are now available in the plugin itself, so you ( or your clients ) can access ..